Hey everyone! 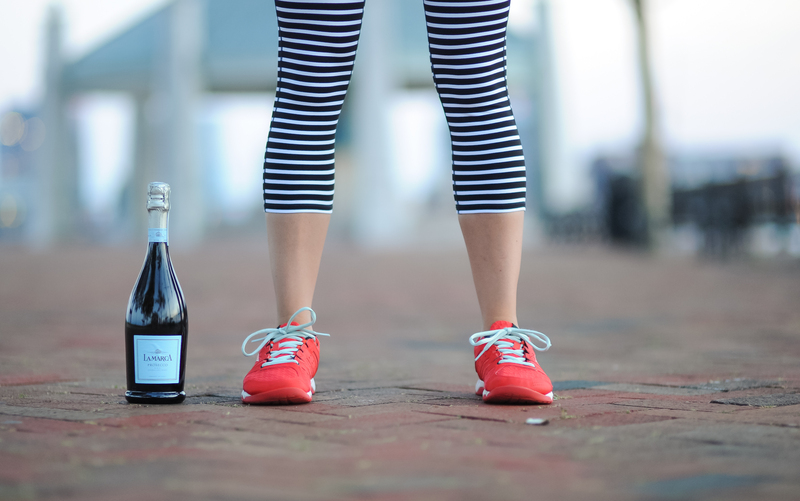 Welcome to Burpees to Bubbly, where I hope you’ll enjoy my workouts, recipes, restaurant reviews and wine choices:) Originally from Maine, I moved to the Boston area in 2008 and have been here ever since. 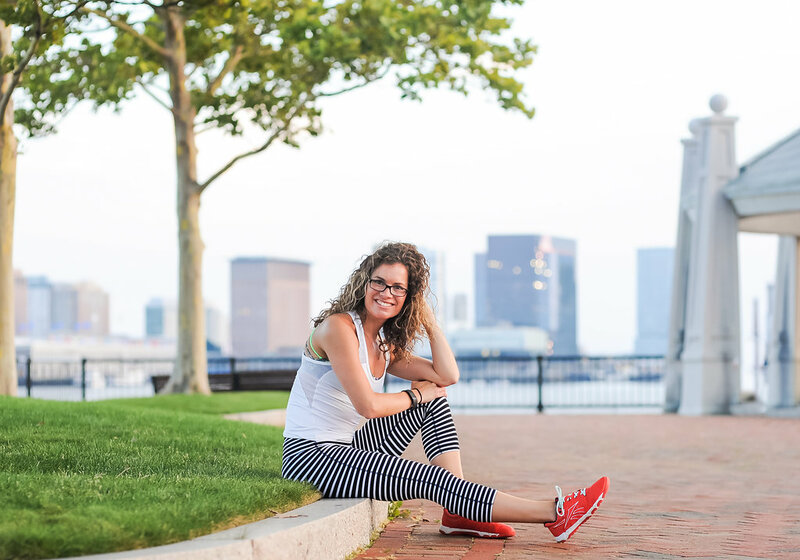 This blog was created as a way for me to connect with other healthy living bloggers and readers, as well as a way to share my passion for fitness, food and vino 😉 My goal is to show people that being “healthy” doesn’t have mean working out six days a week (because, rest), not drinking alcohol (because, vino) or following some strict diet promising you that you’ll lose inches and pounds in just 7 days (because, ice cream & pizza). In fact, some days being healthy might even mean skipping a workout in favor of getting drinks and dinner after work with your coworkers, friends and/or significant others. I have been on a journey to find this type of balance for a couple of years now, and while I have made really great progress, it will always be something I work on. Learning to embrace the now, letting go of the need for perfectionism and truly listening to my body isn’t always easy for me, but working at these things on a daily basis sure does help, which is why I share various learning points I’ve had in these areas along the way. With regards to fitness, I love it. Plain and simple! I run, I box, I do kickboxing, I do yoga, I walk, I lift heavy weights, but most of all I am always willing to try new things. I do not believe that there is a “one size fits all” in terms of fitness plans, which is why I always encourage people to find out what works for them and what makes them happy. Whether that’s Zumba, running, Crossfit, swimming, tennis, lifting, etc., if you enjoy it then it’s the right workout for you! 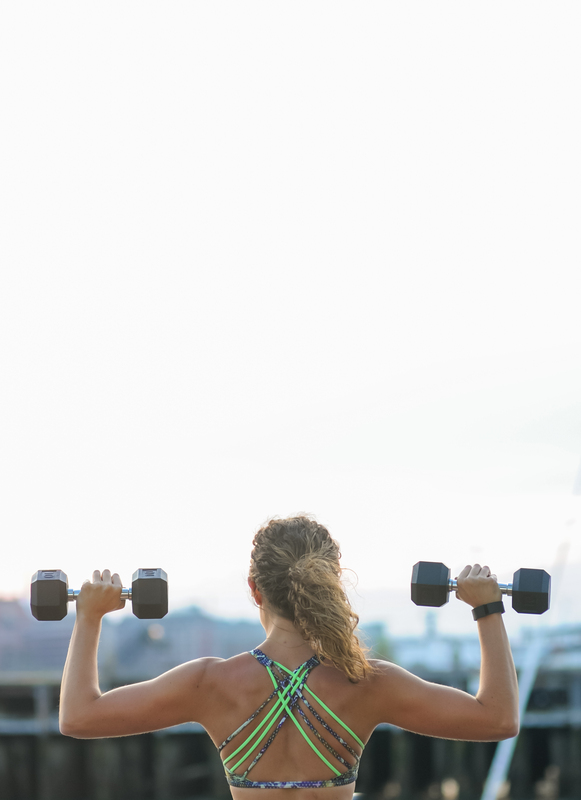 If you truly dislike a form of exercise and it makes you hate working out, then you shouldn’t be doing it- working out should be a positive thing in your life so dialing in and finding what works for you is so important! When it comes to food, my husband and I really strive for the mentality of “let’s do our best to eat really well most of the time, but also feel OK incorporating less healthy choices”. For us, this means eating a lot of veggies and lean proteins most of the time, but also being OK with ordering out pizza or going out for burgers, wings or ice cream for the times our fridge is either empty or we are really craving it 😉 To help make this easy on us, we prep a lot of veggies & healthy snacks early in the week like kale, broccoli, string beans, brussels sprouts, sweet potatoes, chicken, etc. so that throughout the week we can quickly and easily reheat these things for our meals. While it may take a few prep hours to do this, it saves us so much time throughout the week so it is totally worth it! If you have specific questions or have a blog post idea, shoot me an email burpeestobubbly@gmail.com. Also, follow me on Facebook and on Instagram & Twitter. Currently I’m teaching at EverybodyFights FIDI (BagsxBeats & BagsxCore) and outdoor classes as part of Seaport Sweat in the Seaport District. Reach out to me for more details! Love this! Can’t wait to see more of what’s “cookin.” Love the exercise, not the burpees so much, but do love to keep in motion regularly. You will need to post great workouts for the 55 and over crowd! Love reading about my two favorite things in one blog! Thank for sharing! Haha I am glad I am not the only one who shares the love of these things:) Thanks for reading! I’m loving this so far! Hopefully it isn’t too creepy that I’m now following daily after your suggestion in class the other day! However, this seriously comes in handy when I want a kickass workout and don’t have time for a class! Can you post the 12 days of fitness exercise routine-I loved that one! Haha, not creepy at all! This is why I write- so people read, follow and comment! I appreciate your comments:) I will post that workout- hopefully this week- glad you liked that one! I love rewarding my self with Bubbly! I’m yet to try the Yellowtail reserve so I will have to pick up a bottle! Aw thank you!! You definitely need to try e Yellowtail! Hi Ellyn, Thanks so much for stopping by! I’ve got a bunch of cardio kickboxing combinations on the blog- hope you can try them out 🙂 Appreciate your support! I just want to say, I found your site by accident and I love it. I’m a new AAFA certified group x instructor and it is really generous of you to share your workouts as it gives me inspiration. Thank you! Hi Nicole! Thank you for stopping by- I’m so glad you’re finding my site helpful. I remember being in your position… it was always nice to get a little guidance here and there. Hope you are able to put some workouts to good use! Hi Janice! Thank you so much for posting and for the nomination! I did one of these similar things before and it was really fun- loved reading about your nomination! I’ve been searching around your blog and this is amazing!